This post is in collaboration with Famleigh and Fawen Soup. Everyone needs more veggies in their life! I’ve said it before, and I’ll say it again, I don’t believe in cleanses. Instead, I believe in a striking balance between healthy eats and indulgences and loading up on veggies on a regular basis. I keep my kitchen well stocked with fresh produce, and I always have some frozen veggies on hand too, just in case. 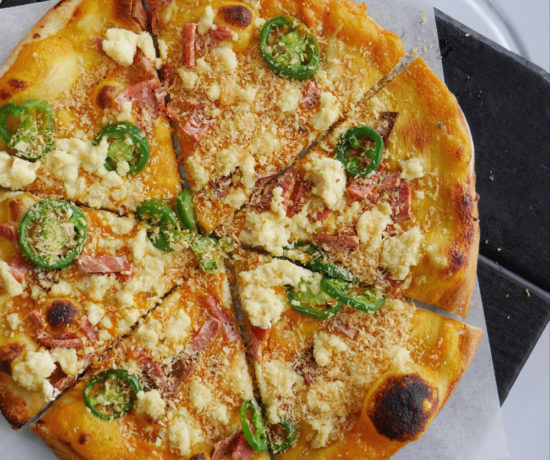 But sometimes, even the most diligent vegetable eater needs a little help. That’s where Fawen comes into play. 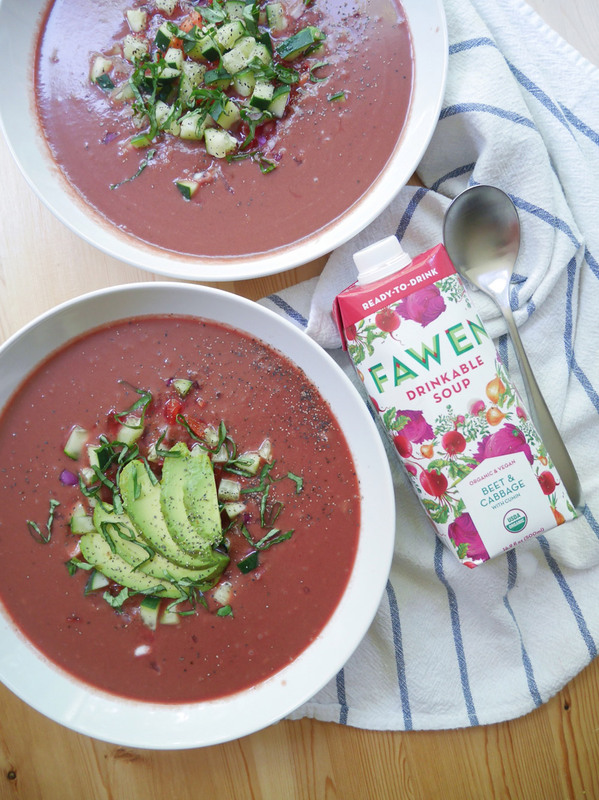 I was recently introduced to Fawen Ready-To-Drink Soup and invited to participate in their 12 Day Drink Fawen Challenge. 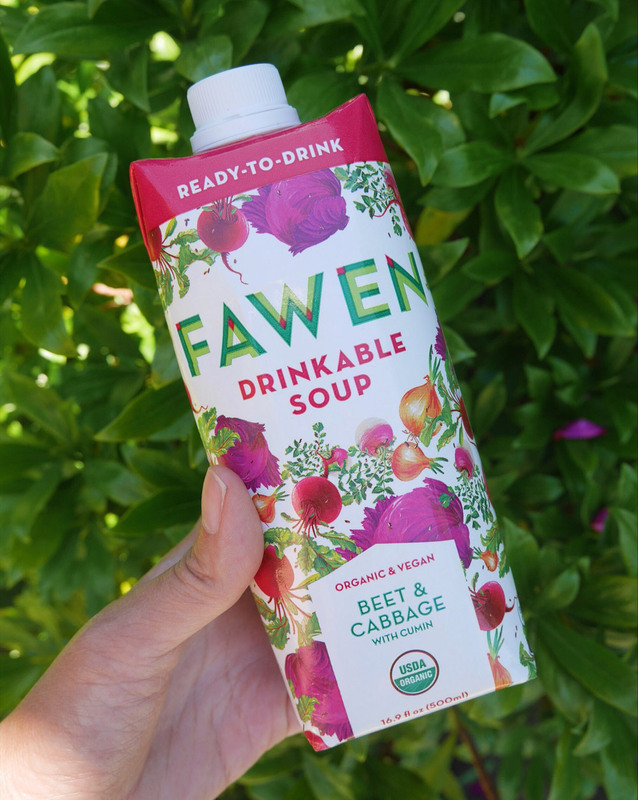 Fawen Soup is very much in line with my “eat your veggies” mantra, and their eye catching packaging is a fun bonus. 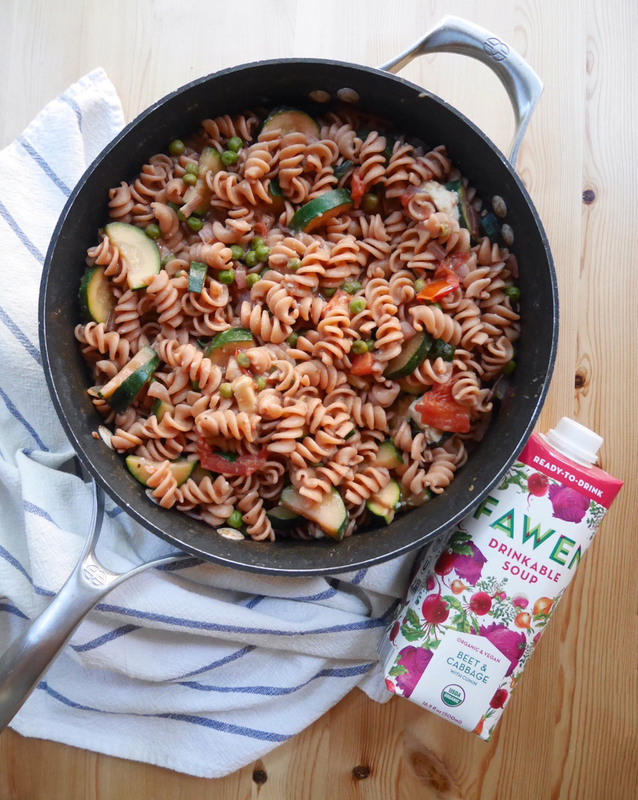 Made of organic and vegan ingredients, each carton of Fawen is about 2 servings of veggies. I’ve tried all three Fawen flavors: Beet & Cabbage, Broccoli & Cauliflower, and Sweet Potato & Lentil. All three soups are loaded with vitamins and minerals, and they have a velvety creaminess thanks to coconut. The eco-friendly, recyclable tetrapak makes it easy to take Fawen on the go like we did on our recent camping trip to Silver Falls. 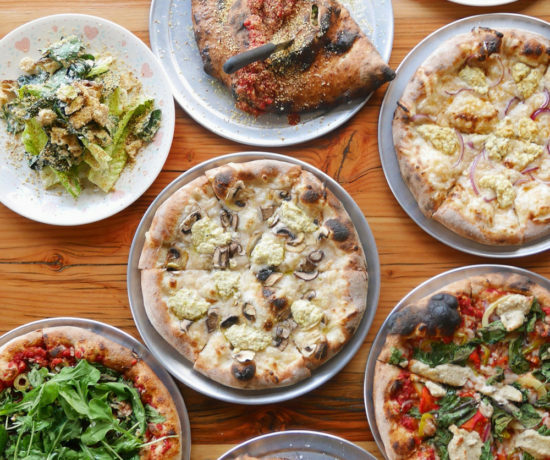 If it wasn’t for the 12 Day Drink Fawen Challenge, I might have fallen behind on my veggie intake as I’ve been incredibly busy lately (getting ready to move into our new house!). Reaching for a carton of Fawen on a daily basis has been delicious and convenient, and after the full 12 day routine, I’m feeling pretty great. 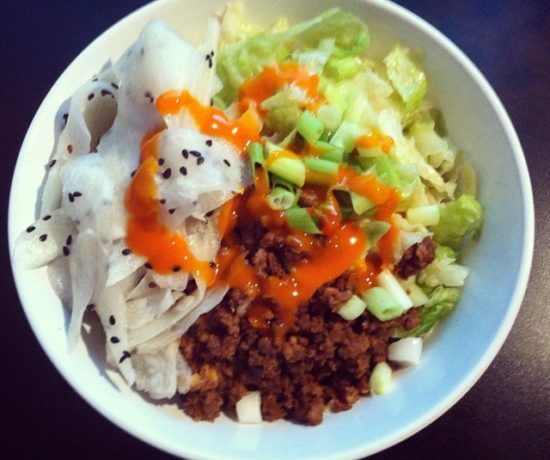 You know all that stuff that people say about feeling energized after incorporating more plants into their diet? It’s all true. There’s no better feeling than being powered by plants, and the 12 Day Drink Fawen Challenge makes it easy, whether you’re looking to start a clean eating routine or sustain your current healthy lifestyle. Whether you’re vegan, vegetarian, or omni, I’m sure you’ll agree that your body feels happier and healthier when you’ve got more veggies in your life. If you’re up for a boost of delicious pure plant energy, give the 12 Day Drink Fawen Challenge a try. Get your dose of Fawen online at drinkfawen.com and receive 12% off + free shipping on any single flavor case with promo code “12DDFC”. You can also order Fawen on Amazon. For those of you in the NYC area, you can pick up Fawen at Fairway locations. As handy as it is to sip Fawen straight out of the carton, I’m sure you’ll want to change things up if you’re going to do the 12 Day Drink Fawen Challenge. I mean, 12 days straight of vegetable soup might be great for your body, but soup alone isn’t that exciting. Thankfully, Fawen Soup can easily be worked into many quick and simple recipes. For my challenge, I choose Fawen Beet & Cabbage as its subtly sweet and smoky flavor profile makes it so versatile. Here are three ways I spruced up my Fawen! How would you enjoy Fawen? When it’s 100F outside (yes, that actually happened in Portland recently), the last thing I want is a piping hot soup. 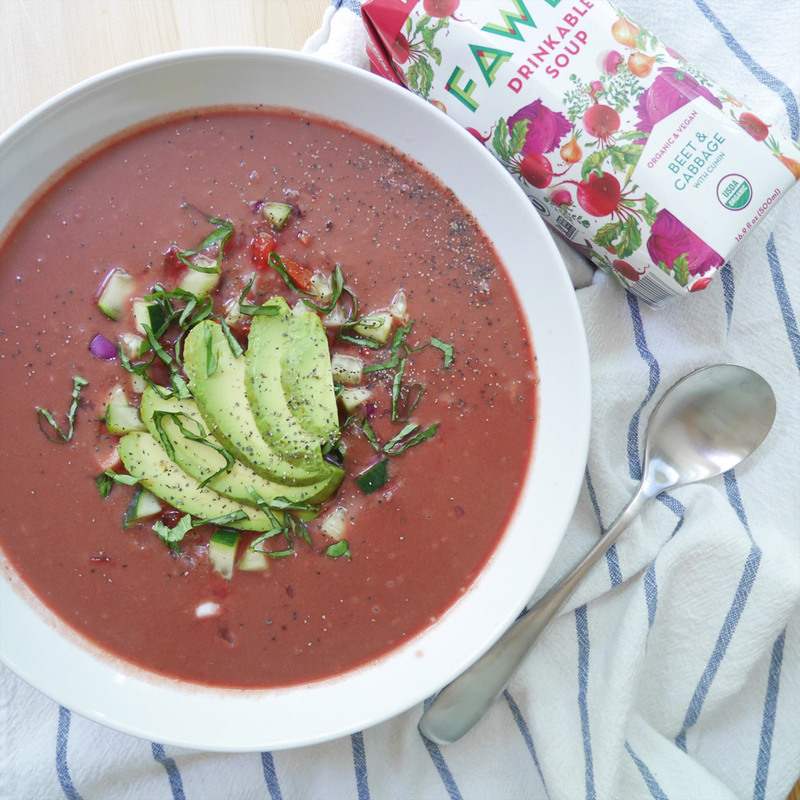 As an alternative, I chilled Fawen and served it as a gazpacho with red onion, cucumber, tomato, avocado, and fresh basil. Fawen Soup works well as a pasta sauce thanks to its natural creaminess. Combine one carton of Fawen with half a pound of cooked whole wheat pasta. Toss in more onion, zucchini, tomato, and peas for more veggie goodness. I love a good bowl of chili, but don’t always have the time or patience to simmer a large pot of chili for hours. 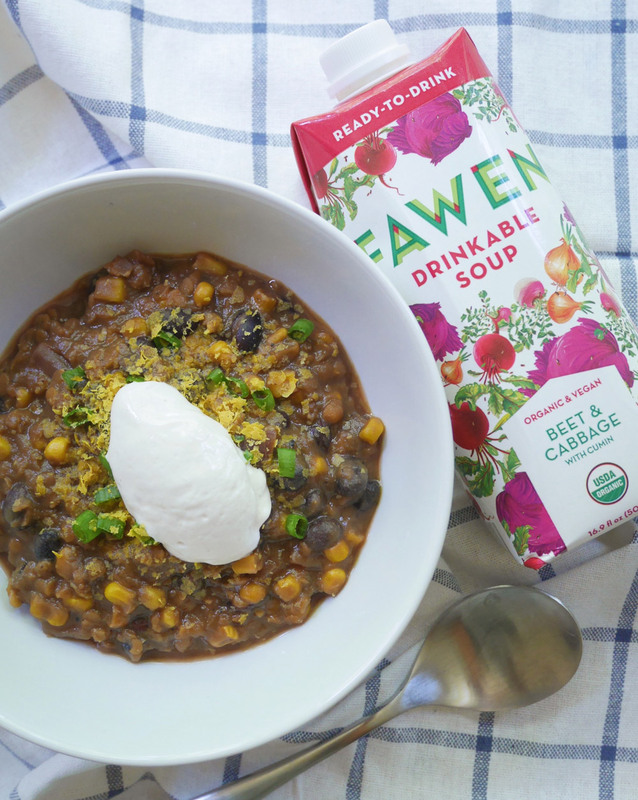 For a quick and easy batch, combine Fawen with onions, black beans, corn and lentils. For a special treat, whip up a batch of vegan cashew sour cream to use as a topping! Note: SPONSORED. This post is in collaboration with Famleigh and Fawen Soup. I received a complimentary case of Fawen Soup for the 12 Day Drink Fawen Challenge. This was not in exchange for a positive review and all opinions expressed here are my own.